Health benefits, say some researchers, may range from helping prevent diabetes to lowering the risk of liver disease. With over 400 billion cups of coffee thought to be consumed every year, coffee is one of the world’s most popular drinks. But is it really healthful, or are there also risks? Dr. Simin Liu, one of the authors of the study, said that an “inverse association” exists between coffee consumption and risk for type 2 diabetes. Increased coffee consumption may reduce risk of type 2 diabetes – the Harvard School of Public Health (HSPH) researchers gathered data from three studies. In these studies, the diets of the participants were evaluated using questionnaires every 4 years, with participants who reported having type 2 diabetes filling out additional questionnaires. In total, 7,269 study participants had type 2 diabetes. looking at long-term caffeine consumption found that regular caffeine consumption is not linked to extra heartbeats. Coffee: Is it helpful or harmful? 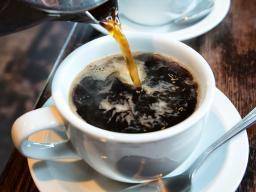 Medical News Today examined the positive and negative effects of drinking coffee in an article in July 2012, Drinking Coffee: More Good Than Harm? In one study, researchers detected the presence of mycotoxins in commercial coffee samples, leading to concerns about potential public health risks.